Home Movies Here’s Our Top 5 Marvel-ous Merch to Celebrate Avengers: Infinity War Day! Here’s Our Top 5 Marvel-ous Merch to Celebrate Avengers: Infinity War Day! True believers, the day has finally come. Avengers: Infinity War is NOW SHOWING! By now it is pretty safe to say that this movie is the most anticipated flick to come this year and rightfully so. This is MCU’s culmination of the franchise and the ultimate love letter to everyone who was with them 10 years ago. That’s a really big deal. Any naysayers? Come at me nerds! For those who already watched the movie, I wouldn’t blame you if you felt the need for more geeky goodness. 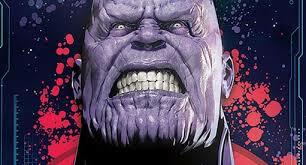 So to help satiate that Marvel Zombie hunger in you, here’s 5 merch recommendations that we think are real gems worthy in any collector’s gauntlet. 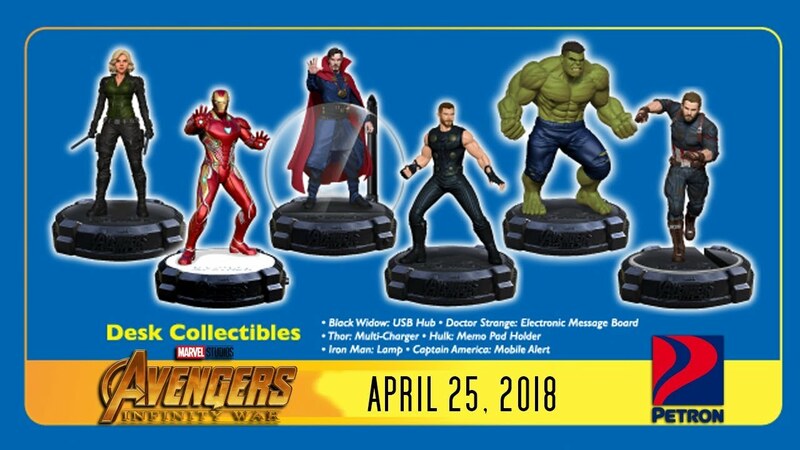 Back in 2012, our friendly local gas station Petron promoted the first Avengers movie with their awesome tumblers with matching figures as toppers. Fast-forward today, the brand is back at it again with their desk collectibles. This time around they upped the scale in quality (the figures are made of metal) and functionality. Though I still find it hilarious that Hulk’s figure is a desk organizer. I really can’t seem to connect the feature to the character. Props on whoever thought of that. You made my day. This really came out of nowhere. Not even a blip in my gaming radar. But boy oh boy am I pleased with this one. 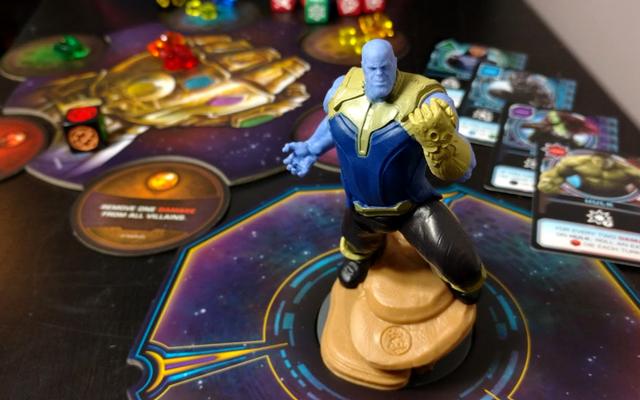 USAopoly, the same publisher that made Harry Potter: Hogwarts Battle is back with another tabletop hit with Thanos Rising! Yeah I know what you are thinking, IP’s in board games usually doesn’t mix very well and I was initially with you on this one. But having played this over and over with my buddies I am happy to say that I was wrong on my assumption. Don’t let the property tie-in fool you. This is a really good cooperative dice-rolling/matching game. Yes, granted the game doesn’t really offer anything new in terms of ground-breaking mechanics and the like. But the gameplay is really solid with some interesting decisions to be made. 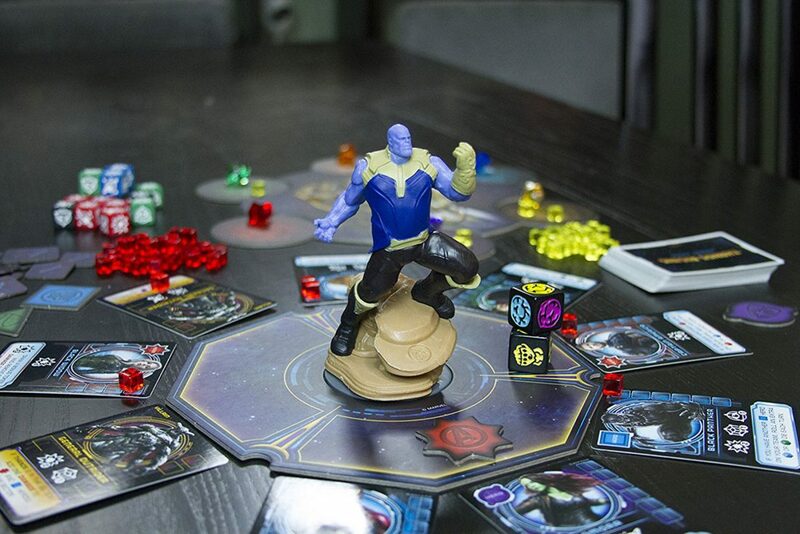 Plus, who doesn’t like custom dice and a towering Thanos figure looking at your impending doom? This sleeper hit is a keeper and to prove it even more, watch this instructions and gameplay video below from our friends at geekandsundry.com. So I might be cheating here that I put 2 boardgames in one list. 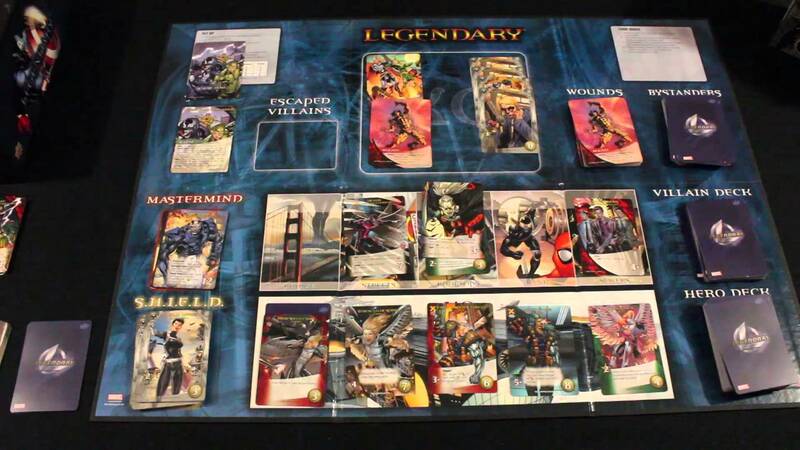 But really, when it comes to Marvel-licensed board games, the Legendary franchise is right on top with the best of them (it is personally #1 on my list to be honest) – with no signs of slowing down! This deck-building game has been around since 2012 and up to this day, the game is still being supported with wave upon wave of expansions. With all the stuff at your disposal, you can literally create or re-create any Marvel Scenario you can think of. And with the Infinity War already out, because of all the hype I might just moderate a game this weekend that simulates events from the movie. A bit of tip to those planning to get this game – there are really tons of expansions right now but if you are just starting out with your collection, I would suggest getting the base game first and one of two expansions (Dark City, X-Men and Guardians of the Galaxy are solid additions if you ask me) but seriously, the base alone has a lot of mileage and replayablity! The helmet lights up and can function as a Bluetooth speaker. Sweet! The Legends Series, aside from making some detailed action figures, also has some movie-accurate accessories readily available for the consumer. Some noteworthy mentions are Cap’s Shield and Thor’s Mjolnir (I hope I spelled that right) but what really got my attention is Star-Lords Helmet and the Infinity Gauntlet. Yes you can move the fingers while wearing it, even the thumb! 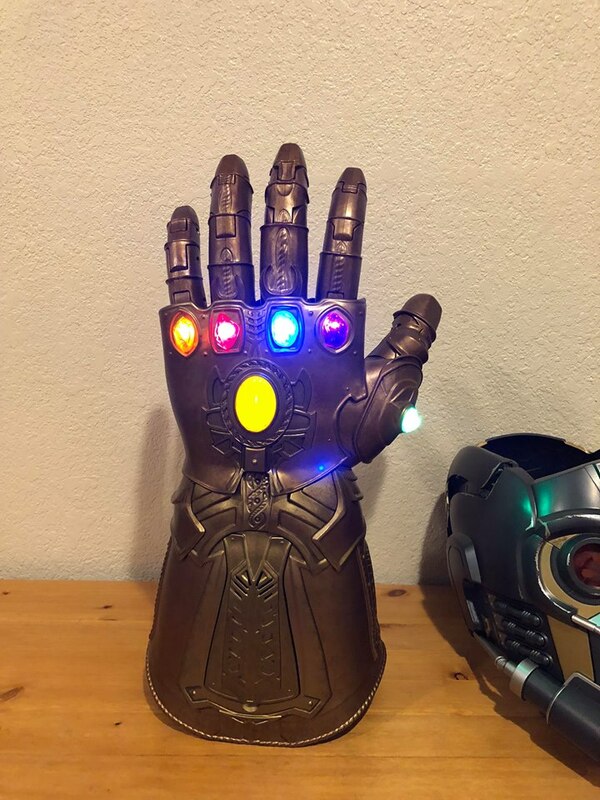 Not only did they make a painstakingly accurate prop straight from the movies, they are surprisingly functional, wearable and cosplay/display worthy. What better way to express your nerdy passion than with these wonderful shirts from Uniqlo. Check out all the cool designs that is sure to please every Marvel fanboy/fangirl. These are just some of our recommendations as for sure there are tons more offered out there. How about you? 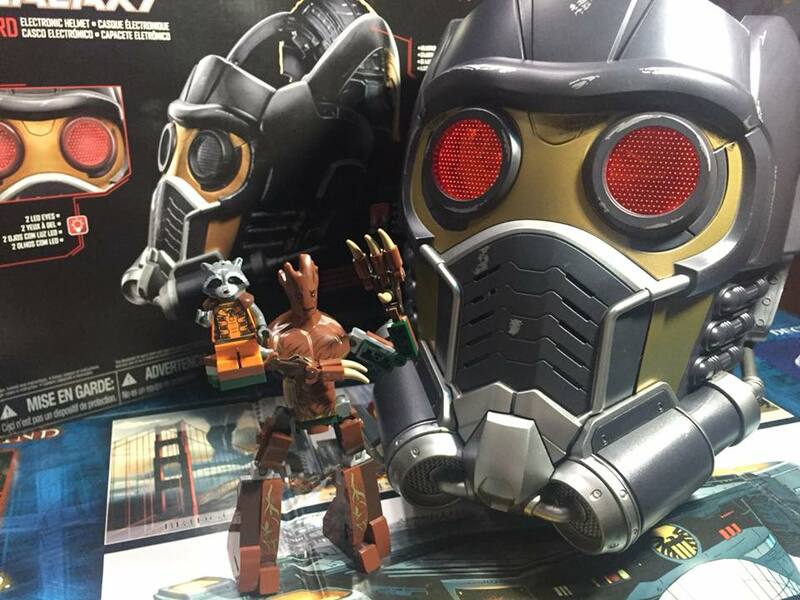 What Marvel merchandise that you own are you most proud off having? Again, Avengers: Infinity War is now showing wonderful people! What a great time to be a geek! EXCELSIOR! Previous articleWhat’s next for the MCU AFTER ‘Avengers: Infinity War’? Next articleAssemble the Gang! The Uniqlo x Marvel 2018 Collection is now available in the PH!